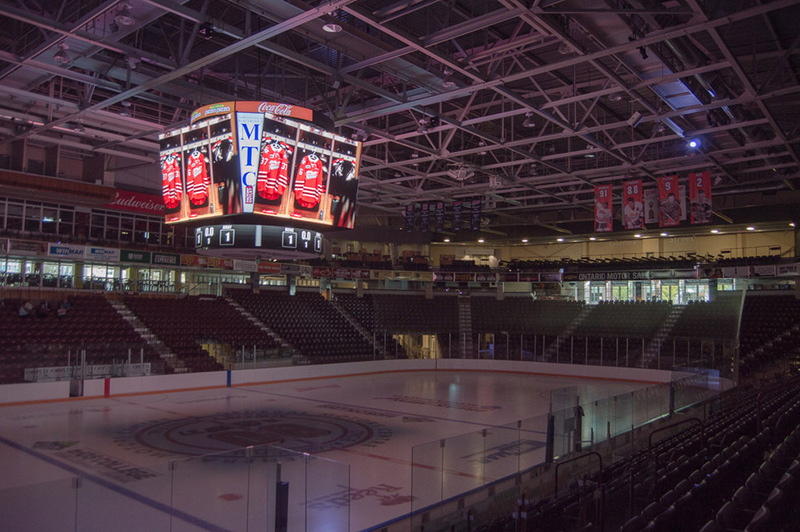 State of the Art digital sports scoreboard designed, built and installed by Media Resources for the Oshawa Generals OHL hockey team in the GM Centre in Oshawa Ontario. 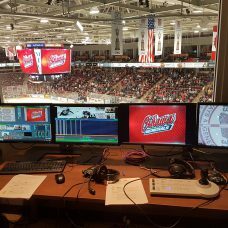 Back in April 2016 the Oshawa Generals and the City of Oshawa announced that they will be releasing a Request for Quotations for a new state of the art sports scoreboard system for the GM Centre and the Oshawa Generals OHL team. 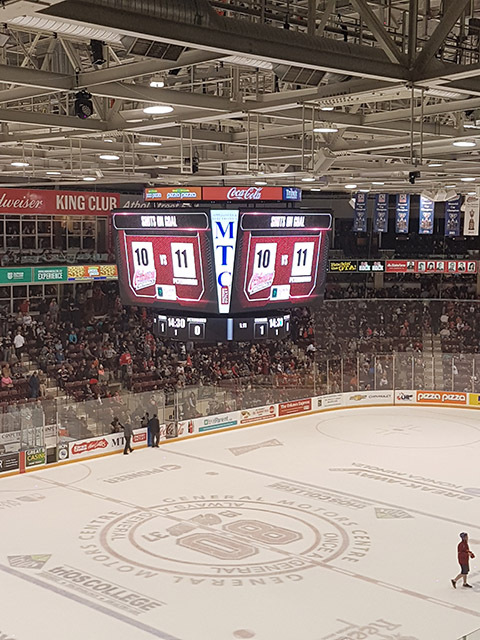 Media Resources quickly got to work on our quotation and in July of 2016 we got the news that we had won the bid to build and install this incredible state of the art digital sports scoreboard using our VisioniQ Sports Scoreboard System. 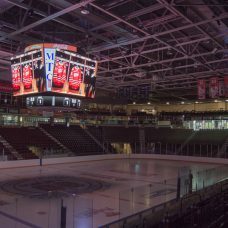 This particular installation includes a 4-sided centre hung scoreboard features four 11’x16′ 5.2mm video screens, an upper illuminated advertising ring and four corner identification/sponsor ad units, a beautiful 5.2mm lower ring, 360 degree cameras, GOBO lighting, and a completely redesigned front end control room with state of the art software. 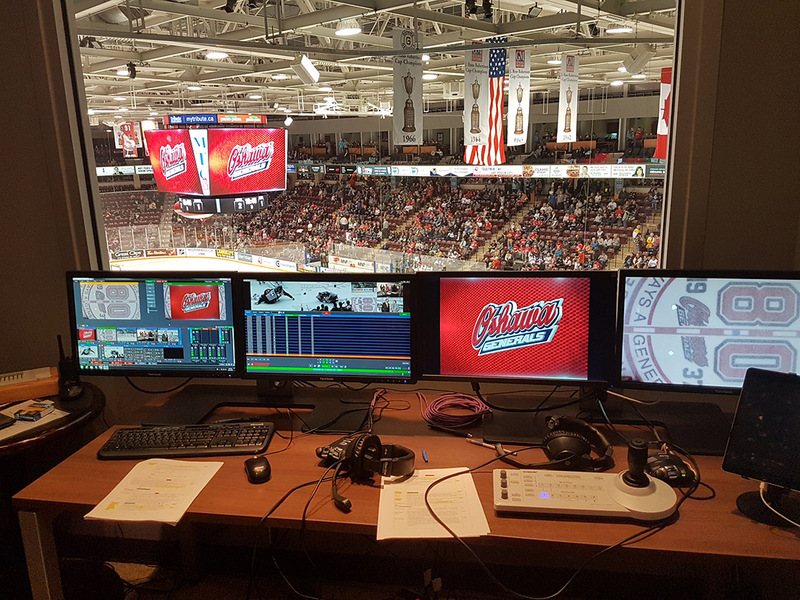 “The City of Oshawa, Oshawa Generals, and Spectra Venue Management selected Media Resources to design, manufacture, install, configure, and service a state of the art video scopeboard system for the General Motors Centre. 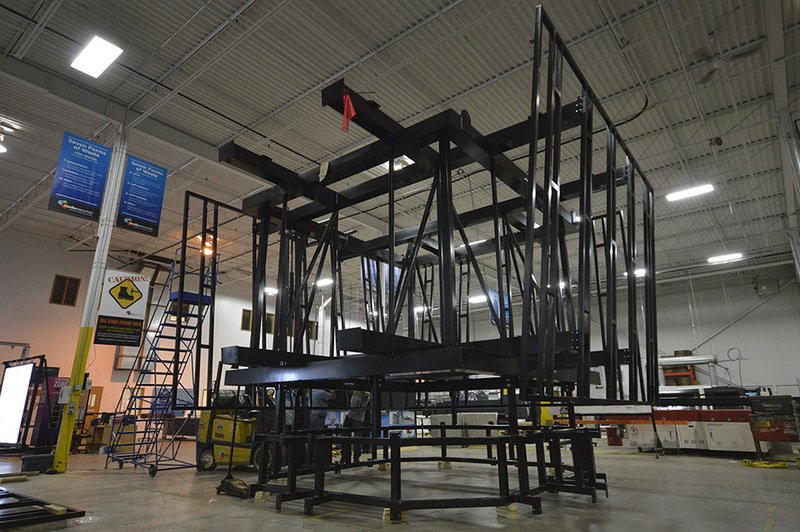 We selected Media Resources based on their experience across a board range of projects, the obvious high quality of their product and attention to detail, competitive pricing, and their ability to offer a complete turnkey solution utilizing their in-house team of professionals. 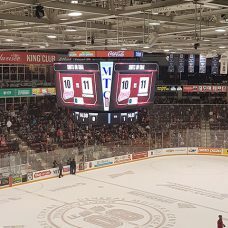 This amazing, high resolution sports scoreboard made its debut on Friday September 30th at the 2016 Oshawa Generals Home opener against the Peterborough Petes. Rogers Media video of the scoreboard unveiling with an interview with the Mayor of Oshawa, the owner of the Oshawa Generals and an Oshawa Generals super fan! 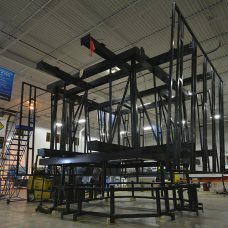 The LED Screens on the VISIONiQ system are capable of displaying all forms of digital content: from text and graphics to full-motion video in an extraordinary range of colours that can change at a moment’s notice. 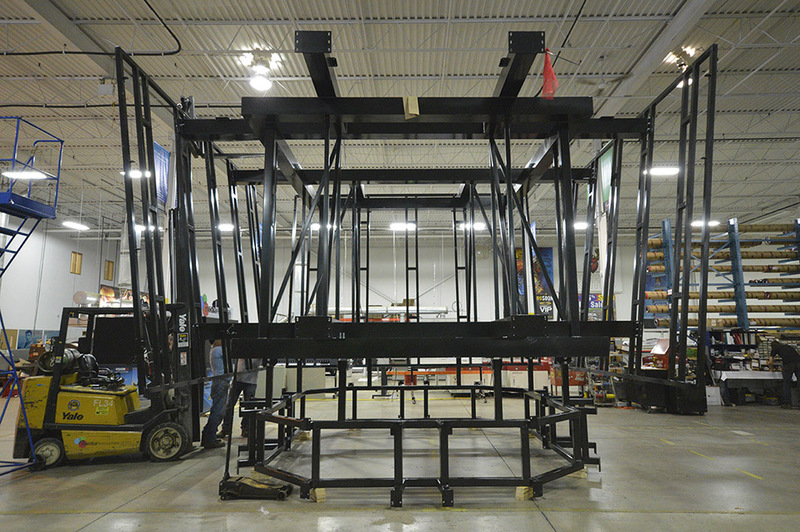 Powered by our proprietary VISIONiQ technology the LED modules allow for a hassle free installation and maintenance of each panel which comes fully equipped with its own diagnostic software for around-the-clock monitoring. 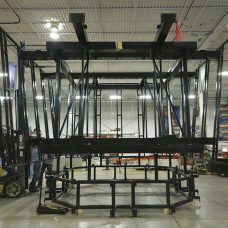 Waterproof cabling and cabinet construction, ensures your product is protected against the harshest of elements.